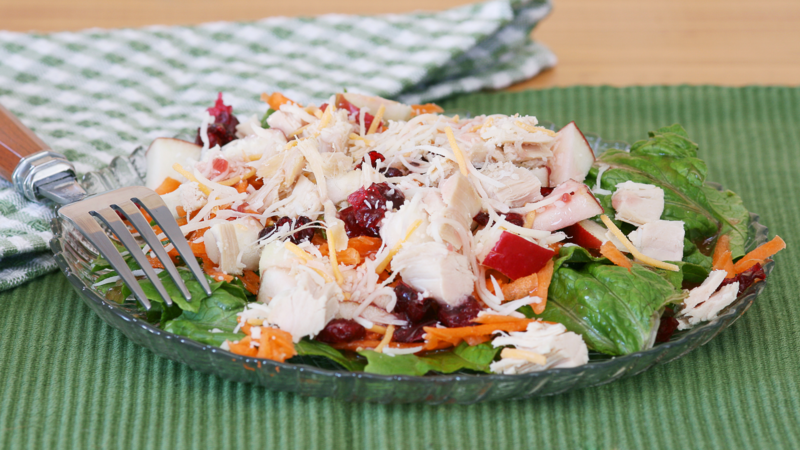 Wake up your Thanksgiving leftovers with this easy and delicious salad! Combine all ingredients in a large bowl and stir until everything is mixed together. Top with a sprinkle of shredded cheese for added flavor.